Every business needs to perform some sort of financial forecasting for the year to come. Forecasting financial statements is one of the more crucial forecasts for many. There are obviously many ways to accomplish this and below are some of the best practices on how one can forecast financial statements effectively. The most effective way to predict the future is by looking at what has transpired in the past. Therefore, if you want to do financial forecasting, you need to start with historical data that will give you critical insights on past trends or events. The challenge here is that people tend to gather way too much historical data that it becomes overwhelming to analyze. It is good to make sure you have just the right amount of data to prevent flooding yourselves with too much information that might not always be helpful. Our advice is to settle with 3 years’ worth of historical data comprising of sales figures, tax rates, and depreciations. This should give you a good foundation for your financial forecast. Sales data is crucial because many expenses are directly or indirectly related to sales. By looking at your sales over a period, you can notice periodic trends to sales as well as understand the various factors affecting sales performance. As mentioned above, use 3 years´ worth of sales data, look at year on year increase and estimate your baseline amount for the year to come. It is also important to look at the financial percentages that can be traced back to sales like AR and AP. After making sure you have a clear picture of sales numbers and other sales associated statements, include other expenses like taxes, interest expenses and depreciations. Assuming you now have historical data, control over your sales figures and statements, and you have included other expenses, you can now begin to perform what-if analysis. This means you can test the impact of lower or higher sales this year, an increase or decrease of debt, test potential market expansion impact on cash flow, and you can even test your assumptions on various aspects of the business. 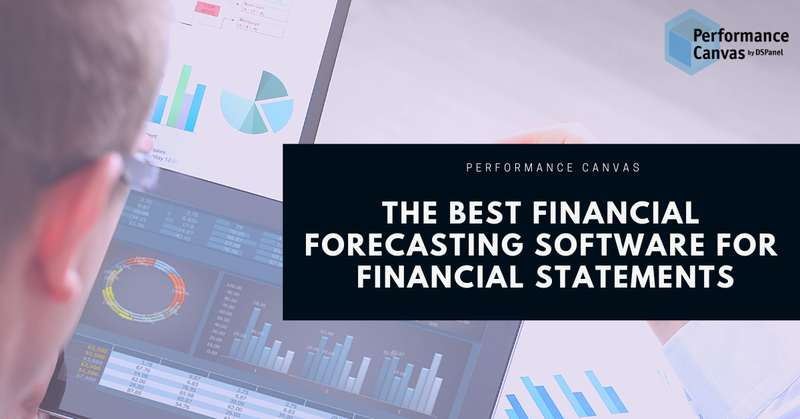 The best financial forecasting software in the market today for financial statements is Performance Canvas Financials. This is a software that small to large businesses can take advantage of. Performance Canvas Financials is a complete, cloud-based financial forecasting, financial budgeting, financial reporting & analysis, and financial consolidation software that will allow your business to get clear pictures of its past, present, and future performance. The best thing about this software is that you get to perform an optimized and end to end financial planning and analysis without needing several tools because this tool is a unified solution. Financial forecasting is only one of its robust capabilities where it allows you to increase the reliability and accuracy of your forecasts for a more effective decision-making in the organization. Overall, it improves the efficiency of the entire process and it reduces the amount of time spent on the entire financial planning and analysis process. Try it today by requesting a free trial. Visit www.performancecanvas.com or email info@dspanel.com to learn more.